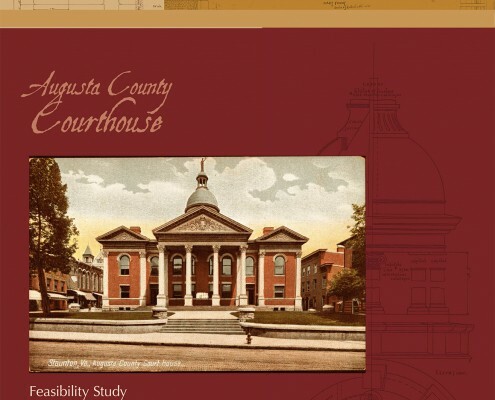 The Augusta County Courthouse was constructed in 1901 as the fifth county courthouse on the site. 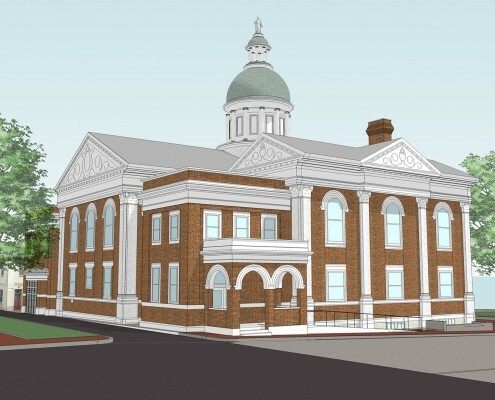 Prominent local architect, T.J. Collins prepared the plans for the 1901 building. Changes over the years included a1939 architecturally sympathetic rear addition, and remodeling of the main courtroom by Sam Collins, T.J.’s son in 1949. 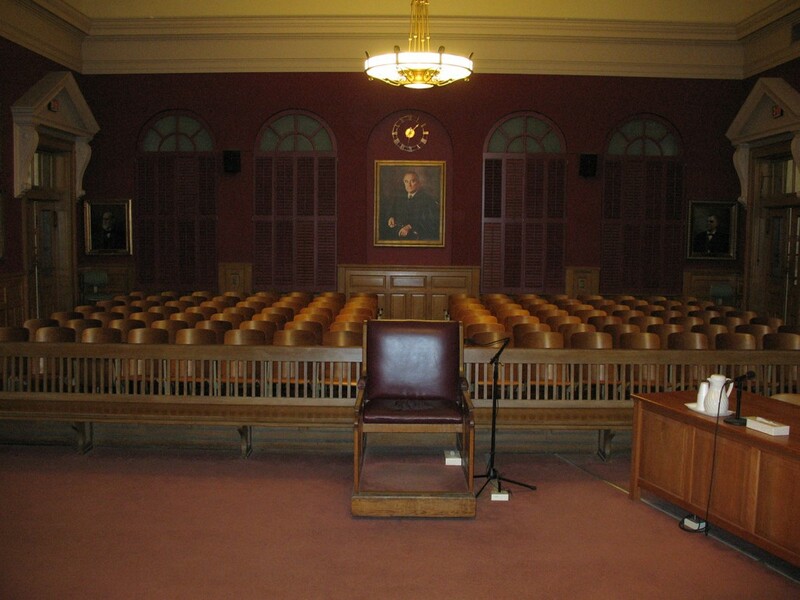 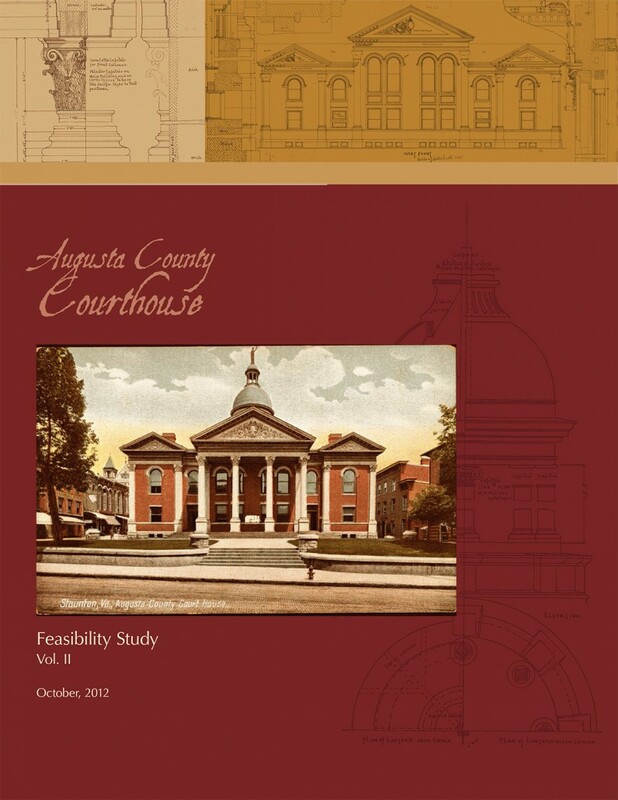 Faced with outdated electrical and technological systems, as well as on-going maintenance and security issues, Frazier Associates was hired by the County to conduct a feasibility study to address building maintenance and systems requirements and also project the needs and changing technological requirements for a modern courtroom for the next 30 years. 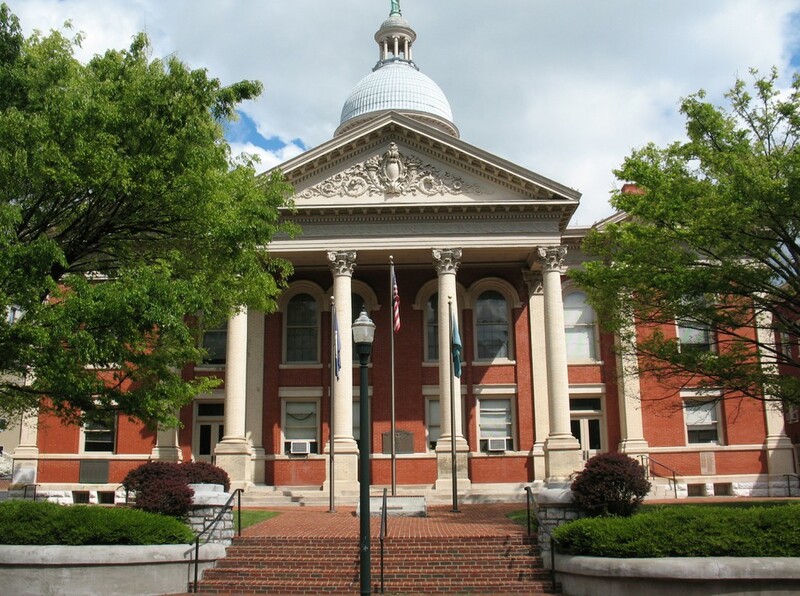 Working with Fentress Incorporated (court consultants), Frazier Associates interviewed the judge, clerk and staff to assess their work and space requirements. 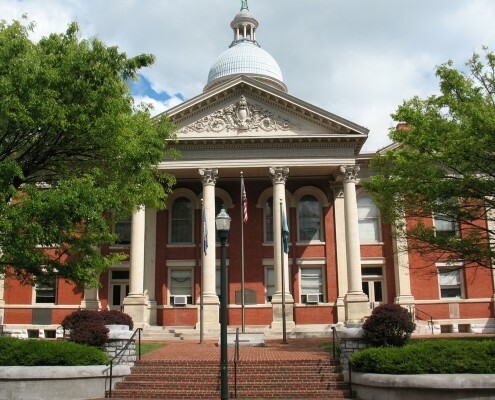 Fentress compared established court facility standards to the current building’s setup and projected future caseloads and document filing requirements. 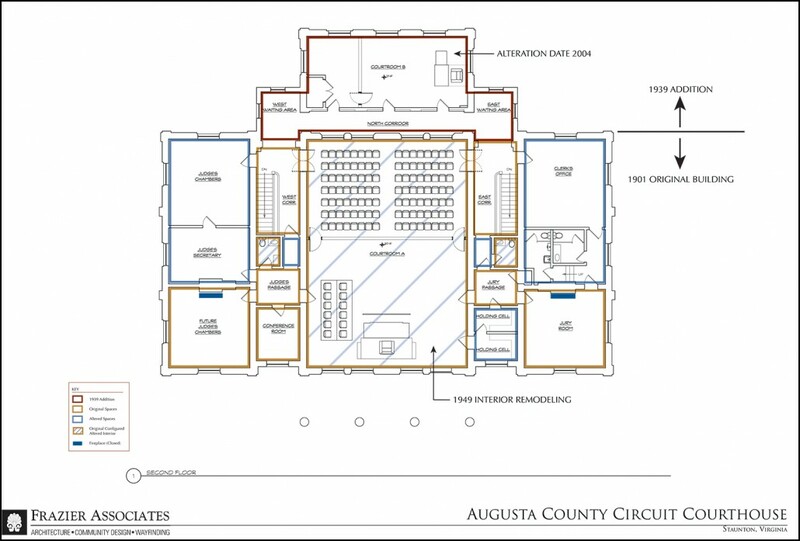 Using this information, Frazier Associates created schematic design options in-keeping with the historic character of the building which included interior alterations and new additions along the Barristers Row Alley on the back of the building. 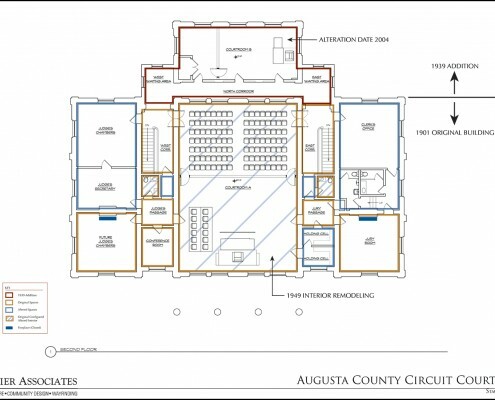 The schematic designs provide for future staff requirements and address security issues for the building, including separated waiting areas, attorney witness conference rooms, and separate circulation routes for the public, staff, and prisoners. 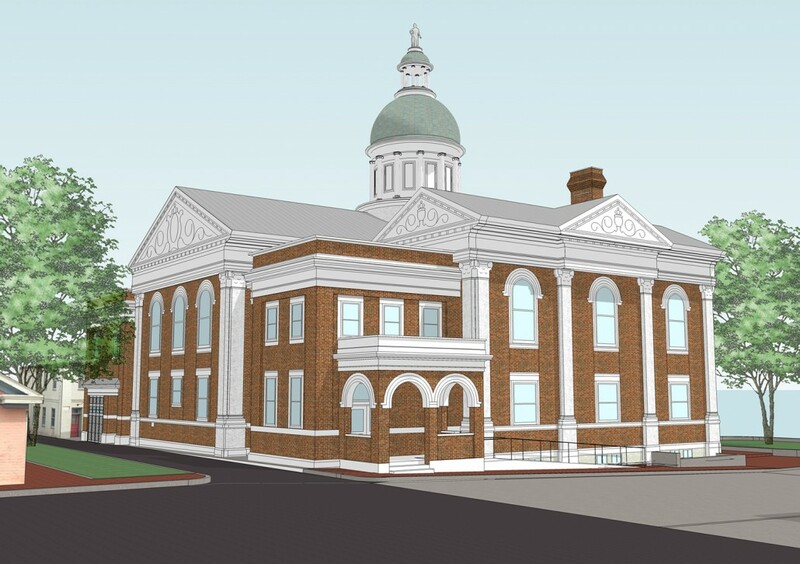 Accessibility is addressed with new elevators for handicap access between the floors.